We never quite realise how long six weeks drags on for until we have to find child-friendly activities to fill the entirety of the period. Creativity and the ability to find new things to make and do can see you and your children through any stretch of time. Here are some of the many ways in which you can encourage your child’s creativity this summer. Tie Dyeing – simple and endless fun, tie-dye some plain bed sheets or t-shirts to be enjoyed again and again. There are lots of different patterns to experiment with, and finally unravelling the dyed product is something like magic! 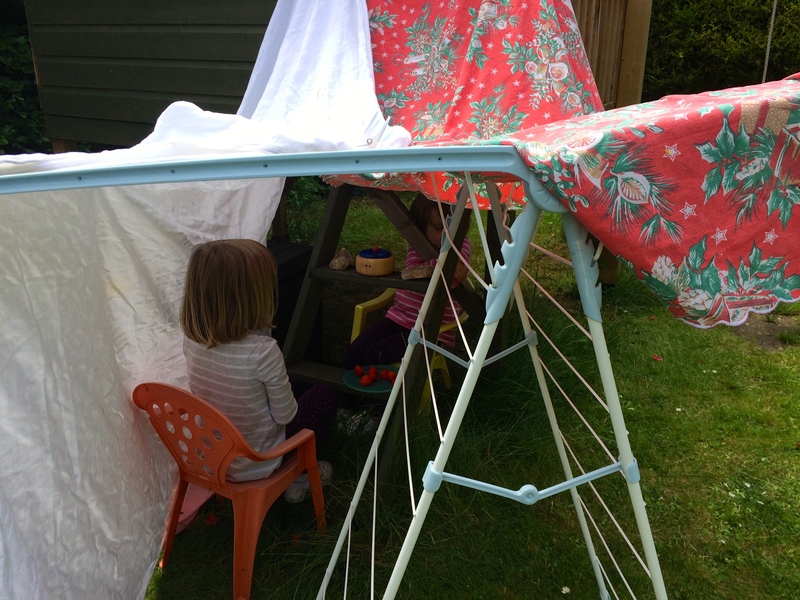 Indoor Den – dens are not just for the outdoors. Again, this can present a healthy challenge to children if you lack room. See what can be made out of a small space. Sheets and blankets, divider screens and clothes horses are among the tools. Encouraging creativity is a significant step towards independence. Giving your children the tools to think outside of the box and come up with inventive ways to amuse themselves is important to character development. It also enables you to enjoy new activities together in the meantime.